Leihzhan have made great development after 34 years experience on paper and pulp industry. The improvement of Leizhan paper system mainly concentrates on design and research high-tech, easy to operate and maintain, low consumption paper manufacturing solutions. These solutions improve the service life of Leizhan paper production system and also lower customers’ investment costs. 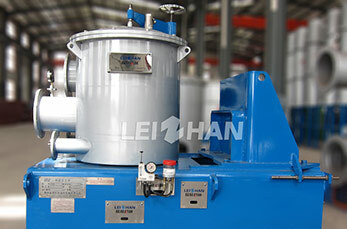 Leizhan hi-tech paper processing devices ensure the long service life and high effiency of Leizhan papermaking system. 1. Automatic oil injection device can reduce maintenance. 2. Seal water flow automatic detection alarm device makes sure the system runs safety. 3. Interlock system put into use in mid consistency pressure screen ensures the service life of equipment. 4. Perfect steamless welding technology. 5. Double machanical sealing shiped from Houston. 6. Pressure water alarm device. Leizhan have mastered extensive technological know-how of paper production, which can enable Leizhan to introduce new type hi-tech paper manufacture devices to meet the customers’needs consistently.